I look forward to your contributions to my campaign. …and unhappily married ones, I guess. Sorry, women of Earth, but I’m now officially taken. Kathy: Justin proposed to me! Mr. Bryja: Are you pregnant? 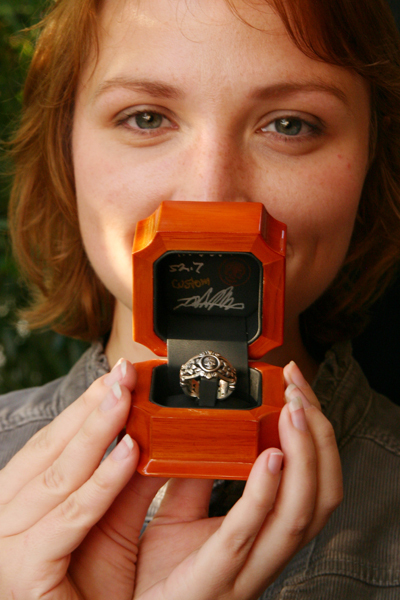 More details to come, especially about the ring that I had made by artist Josh Murray. Stay tuned.